I have ALWAYS wanted to go on a sleigh ride – but never had until today. I remember Pepe (my Grandfather LaValley) telling us when he took a sleigh from Vermont to New Hampshire – back in the day when that was the winter transportation. I also love the Christmas Carol – SLEIGH RIDE. I have thought about it a few times and even looked into it – but something always came up or there was no one to go with. The rides were also very expensive. 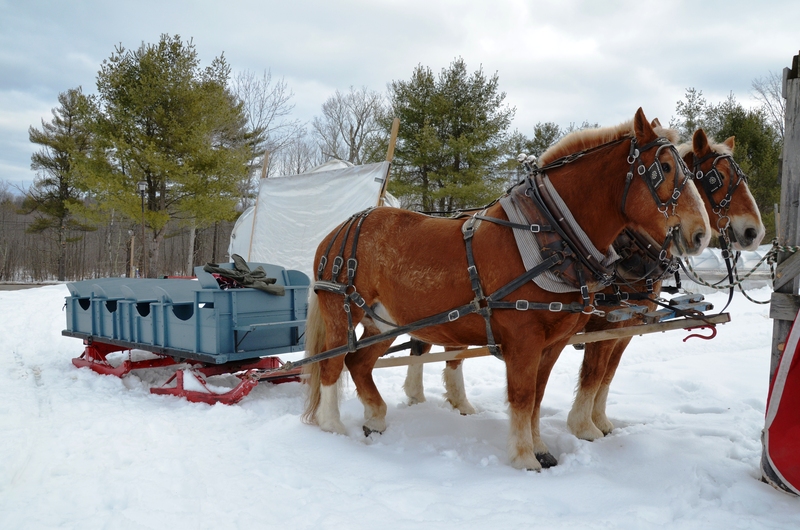 Recently, I saw that there are sleigh rides available about 5 minutes from me on Corn Hill Road in Boscawen (Painted Blessing Ranch/Pustizzi Fruit Farm)! Even better – the price was only $20.00! I knew that the weather was going to be mild today, and we had plenty of snow cover for the horses to pull a sleigh. I asked around to see if anyone was interested – but no one was available – so I decided to go myself. I am not usually one to do activities by myself – but I decided to go for it. (I have gone to movies by myself – that took a little getting used to – but it isn’t bad at all – especially since you don’t “visit” while the movie is playing.) I was out of my comfort zone at first – being by myself – but once I arrived at the location. I was fine. Everyone was very friendly, and the driver of the sleigh was someone I went to high school with that I hadn’t seen in about 35 years. 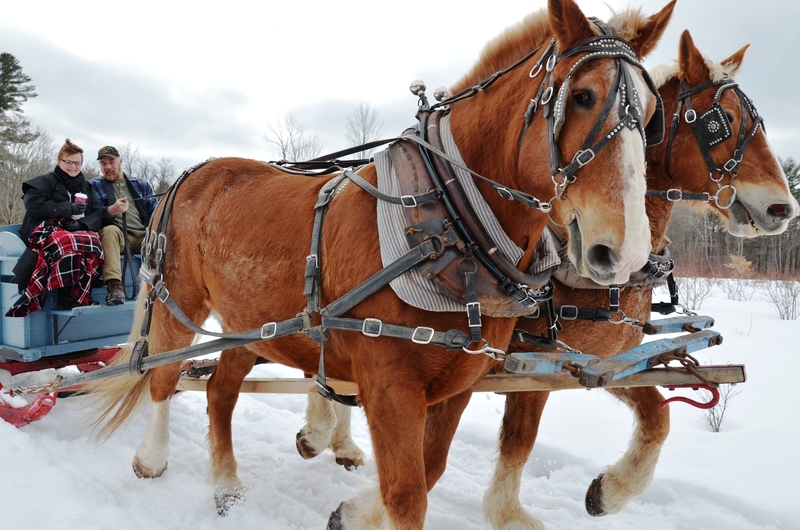 The horses pulling the wagon-sleigh were two Belgian horses. They were HUGE horses and very handsome. I am glad that I went. There was just a couple from Pittsfield and me on the sleigh – plus the driver and copilot. I would like to go on a real old-fashioned 2-4 seat sleigh . . . but until that time . . . I am happy that I had a sleigh ride on a beautiful March day.